With the onset of fall comes one thing: pumpkin spice season. Don&apos;t get me wrong, I love pumpkins and I love a good pumpkin pie, but let&apos;s be honest, the pumpkin spice flavor that makes it into absolutely everything this time of year has absolutely nothing to do with real pumpkins. In fact, as we learned last year thanks to Michael Moss and the New York Times, there&apos;s no pumpkin anywhere near a pumpkin spice latte. But hey, that doesn&apos;t stop people from jumping on the pumpkin train. Like Dunkin&apos; Donuts for example. 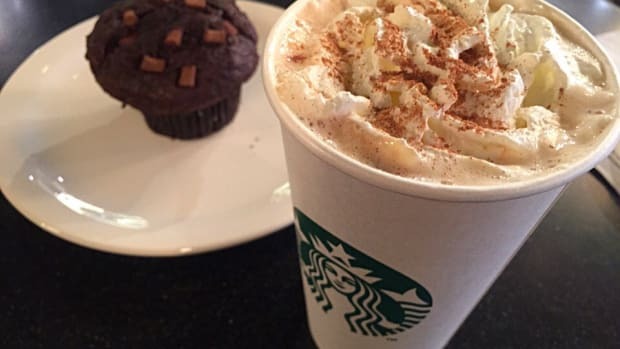 Oh yes, they&apos;re one-upping Starbucks with their fall offering of pumpkin crème brûlée latte coffee drinks. Yes, you read that correctly. 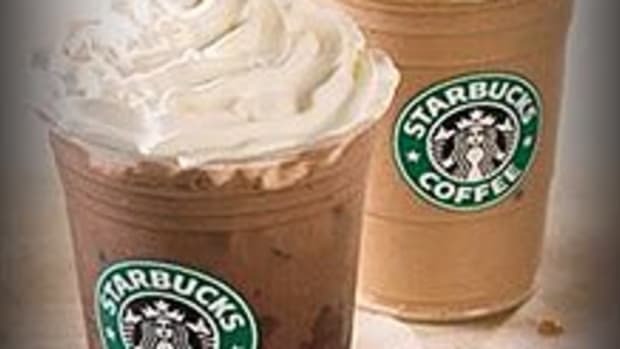 As if pumpkin spice wasn&apos;t bad enough, now we had to go and co-opt the tasty French dessert, and put it into a cheaply priced, fast-food coffee drink. And they want you to pair it with a pumpkin pie donut hole. 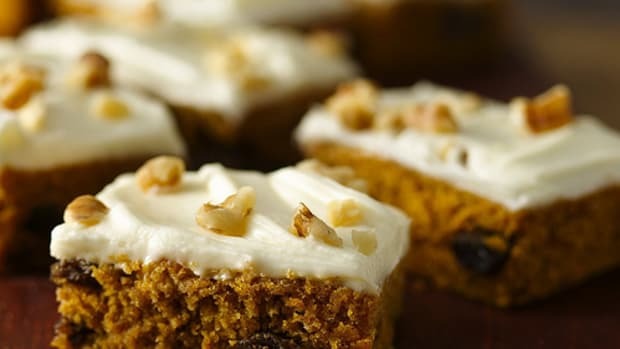 Nothing says "happy autumn" like a sugar-infused, fake pumpkin breakfast. 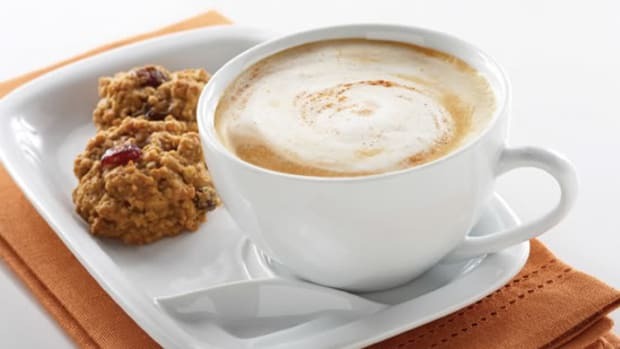 "I&apos;m truly amazed, that every year, our guests show such an enormous amount of anticipation and excitement for the return of pumpkin beverages and baked goods once the summer months come to a close," Jeff Miller, executive chef and vice president of culinary innovation at Dunkin&apos; Donuts, told Business Insider. Yes, Dunkin&apos; Donuts has a vice president of culinary innovation. 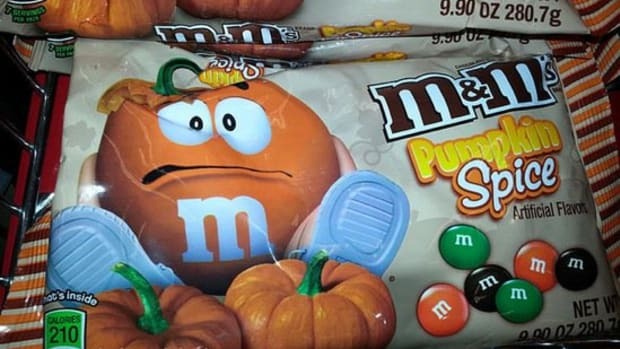 Because faking a pumpkin flavor is innovative. 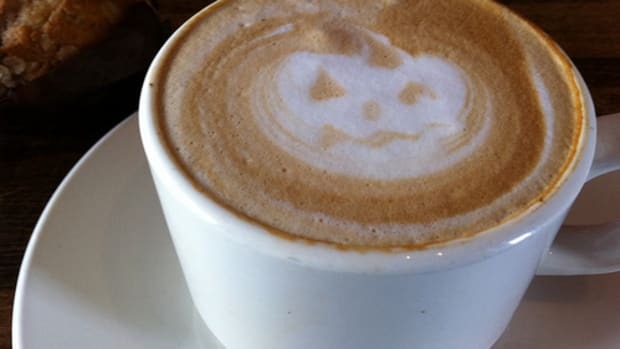 If the pumpkin crème brûlée latte wasn&apos;t bad enough, there&apos;s also a line of pumpkin flavored coffee beans that you can buy and make at home, and for the truly lazy, there are pumpkin coffee K-cups. 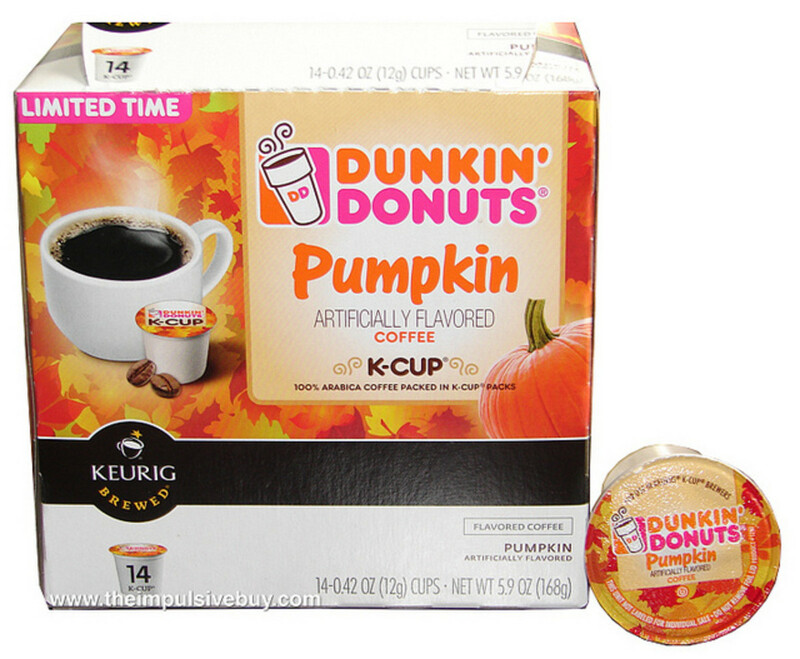 Pumpkin spice in a coffee pod, that&apos;s the ultimate in fine morning drinking. 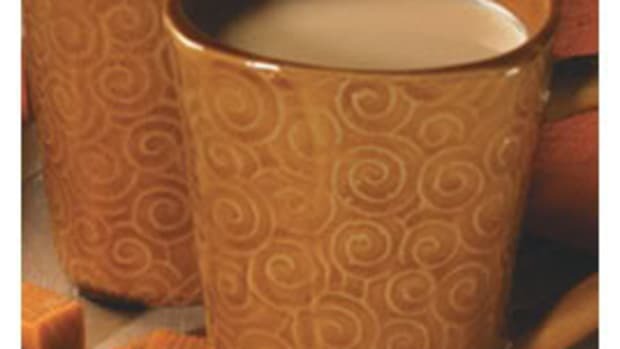 Milk; Brewed Espresso Coffee; Pumpkin Spice Flavored Syrup: Condensed Skim Milk, Sugar, High Fructose Corn Syrup, Water, Brown Sugar (Sugar, Molasses), Caramel Color, Natural and Artificial Flavors, Potassium Sorbate (Preservative), Mono and Diglycerides, Disodium Phosphate, Salt; French Vanilla Flavored Swirl Syrup: Sweetened Condensed Skim Milk, Sugar, High Fructose Corn Syrup, Water, Natural and Artificial Flavor, Potassium Sorbate (Preservative), Salt; Caramel Flavored Swirl Syrup: Sweetened Condensed Nonfat Milk, High Fructose Corn Syrup, Sugar, Water, Brown Sugar, Caramel Color, Potassium Sorbate (Preservative), Natural Flavor, Salt. 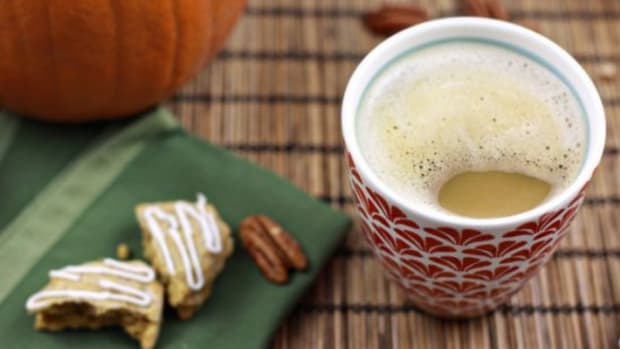 I say, bake a pumpkin, make up a batch of pumpkin spice syrup, brew a French press, and mix in some cream and you&apos;ll be a whole lot better off. Because there&apos;s no disodium phosphate in a DIY pumpkin spice latte.